- ANXIOUS people are often preoccupied with their relationships and tend to worry about their partner's ability to love them back. 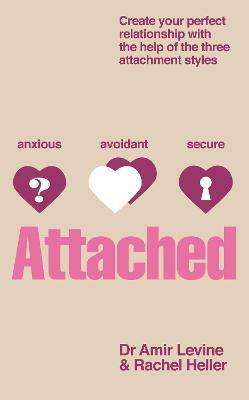 - AVOIDANT people equate intimacy with a loss of independence and constantly try to minimise closeness. Dr Amir Levine, MD, is an adult, child and adolescent psychiatrist and neuroscientist. He has been conducting neuroscience research at Columbia University, New York, for several years under the mentorship of Nobel Prize laureate Eric Kandel. Rachel Heller works as an educational psychologist.